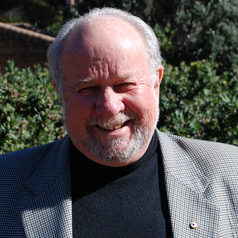 Stephen Hill is Emeritus Professor of the University of Wollongong. Professor Hill retired back to Australia and the University of Wollongong from the post of Director, United Nations Educational, Scientific and Cultural Organisation (UNESCO) Office, Jakarta at the end of 2005 after working for UNESCO for 10 years. In that position he was Regional Director for Science for Asia and the Pacific and additionally UNESCO Representative or Ambassador to Brunei Darussalem, Indonesia, Malaysia, Philippines and Timor Leste and Envoy of the Director General to Singapore. In these capacities he was responsible for designing and implementing the United Nations strategies related to education, science, environment, culture, world heritage, communications, the media and peace building through the region, and was very actively involved in building UNESCO's decentralization policy and strategy, including as Chair of the UNESCO Director-General's Taskforce to reform and decentralize UNESCO. Professor Hill was directly involved in leading UN response in education, media and environment reforms following the May 1998 political transformation of the country and in building disaster preparedness and warning, education, media, environment and cultural aid strategies in Aceh following the tsunami disaster of December 2004. Prior to joining UNESCO Professor Hill was Director of the Australian Research Council's Special Centre, or Centre of Excellence, The Centre for Research Policy, at the University of Wollongong following 17 years as Foundation Professor of Sociology. Stephen's academic background has focused on S&T and innovation policy and development as well as the culture of globalization, originated as a research chemist, included business administration and sociology, appointments in the USA, Europe and Asia, fellowship of three engineering academies and publication of 16 books and 380 articles and essays across 12 disciplines: his writings have been translated into 9 languages. He has been consultant to many countries of the region – including several government departments in Australia and the Prime Minister's Science Council. Stephen has received a number of State Awards, including Member of the Order of Australia (1997), Australia 's Centenary Medal (2001) and several Awards and Medals from the Governments of Vietnam and Indonesia. He has also been personally honoured in a Tribute Ceremony by the Dani People of West Papua, and has been awarded the honorary name of Purba from the Batak People of North Sumatra, Indonesia. He was a part-time professional rock musician in the late 1970s to early 1980s: Sociology Professor by day, rock musician by night. Stephen has just published his latest book, 'Merdeka - Hostages, Freedom and Flying Pigs in West Papua', Sydney: Perceptric Press, December, 2014 (available also as e-book via amazon.com.au). Based on his role in the late 1990s representing the United Nations in hostage negotiations for the release of a group of ecology specialists and students captured by the West Papuan rebel movement (the OPM), the book sets West Papua and human rights abuse of its people into the political context of Indonesia today.